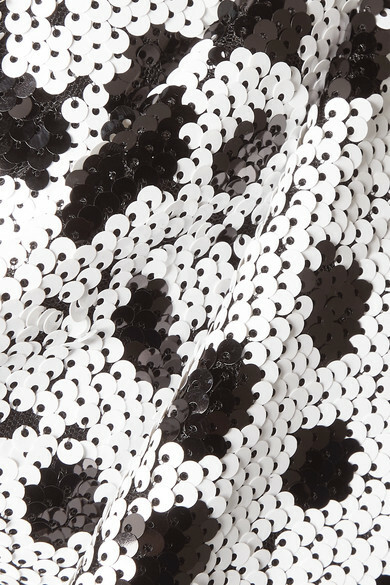 16ARLINGTON’s strapless dress is adorned with shimmering sequins in a black and white spotted pattern. Cut from crepe, this midi style is fitted with a boned bodice for extra support. Pair yours with pastel pumps for evening events. Shown here with: Hunting Season Shoulder bag, Prada Sandals, Jennifer Fisher Earrings.